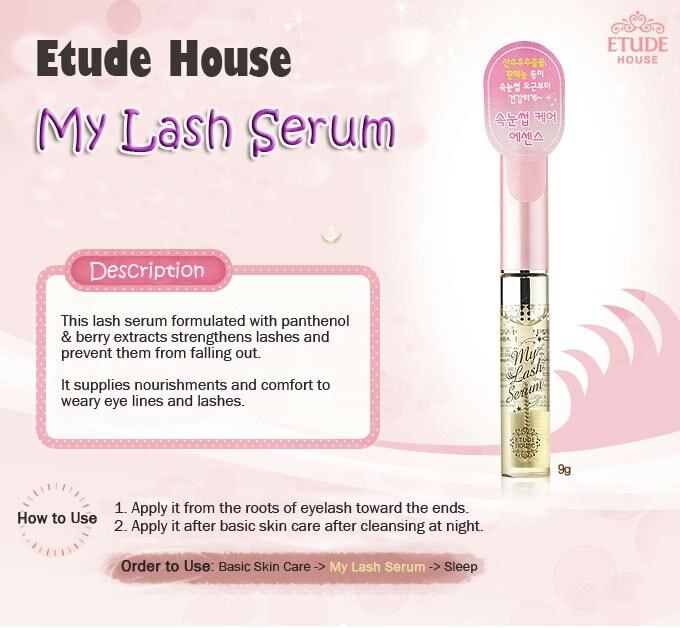 Take care of your eyelashes using this Oh My Lash Serum Yellow by one of the leading Korean cosmetic in Asia, Etude House! This lash serum gives rich moisture and nutrition onto the lashes. It contains a concentrated formula and vitamins and nutrients that quickly penetrates on each strands of lashes. It is safe to use even with those people who have sensitive eyes. Apply an appropriate amount to your eyelashes gently. Description: Now get fuller, thicker and longer eyelashes with the Etude House Lash Perm Mascara. ..